Will there be a midnight countdown world of color like years past? When looking at disneyland’s website, 11:58 is listed for fireworks in Disneyland but nothing is listed for Disney California adventure. I’ve been to that show in the past and loved it and would like to go for nye this year. going to see all of it dec 24-27, so excited! Will Let It Go from Frozen be in World of Color Season of Light? Thanks for the update, can’t wait for the Holidays! What are the times for Olaf Snow Play area in California Adventure? My little ones have been asking about going back to the snow. When does Olaf’s Snow Festival come back? It was a highlight for us last Christmas. It’s the only time my three girls have ever played in real snow and they keep asking me about it! Will the Bell Ringers be back on Buena Vista Street? 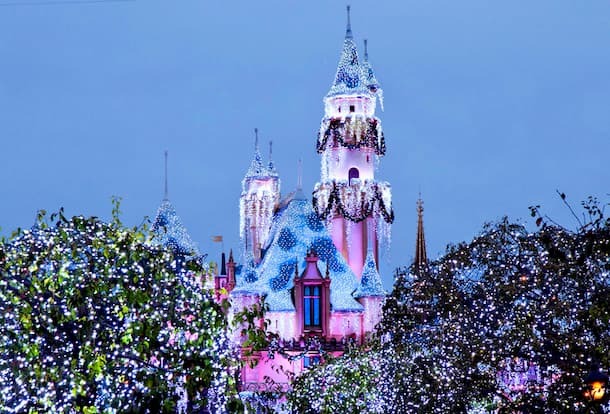 We will miss the opening of Holidays at Disneyland by just a few days. Will there be any decorations up between November 1st and November 6th? We are coming 11/8-11/12, will we get a chance to see the regular woc and regular fireworks show as well as the Christmas ones, oh yeah and the different parades too? Will anything be closed or not showing the couple days before all holiday stuff on 11/10 to prepare? It’s true that Winter Dreams was not as solid in its second year, but it was still nice for what it was. Season of Light sounds promising! I’m just praying that the new Season of Light show will not jut be another Frozen commercial. The first year Winter Dreams debuted, the show was gorgeous with an absolutely beautiful score. But then the following year, it was pretty much Frozen Dreams as the whole show was literally all Frozen with the exception of the Toy Story Nutcracker scene. It was very disappointing and an obvious sell out. But I have high hopes for Season of Light. Also cannot wait for this year’s Candlelight Ceremony! Planning a Holiday Trip for 2017. Are all the decorations typically up the week of Thanksgiving? trying to decide between the week of Thanksgiving and the week before Christmas. We’ve done two Thanksgiving week trips to WDW and they were still decorating some areas of the resort. I will be there November 3 -6 th what type of decorations can I expect too see? Also will gaston still be there? Any idea if and when the Candlelight precession will take place this year? Will the Star Wars attractions (Season of the Force) stay during the holidays in Tomorrowland? Or until Star Wars land opens? Please say yes. Hi there, Erin! My family and I will be there from November 5th to the 11th. Since a portion of our trip is just before “Holidays at DLR” start, what can we expect as far as attraction closures and park decor in those first few days? Is there anything that we should plan for in advance? Thanks for all the info! I have been waiting all month for the dates. We booked flights and hotel and were hoping it would open on November 10th. YAY!!!!!!!!!!!!! What fun news to see today! It feels like such a long time, I cannot wait for the holidays to start. Fall is my favorite time at the resort but Christmas is pretty special too. My nieces will be excited to see Elena of Avalor. (Me too!). I know I’ll be ready for the food and beverage festival – and will probably be there every day that I can!! And I’m waiting for Rachel’s post on all the holiday treats coming our way. Guess I’ll have to tide myself over with all the pumpkin deliciousness that’s currently in the parks. Gee, that’ll be hard. ???? 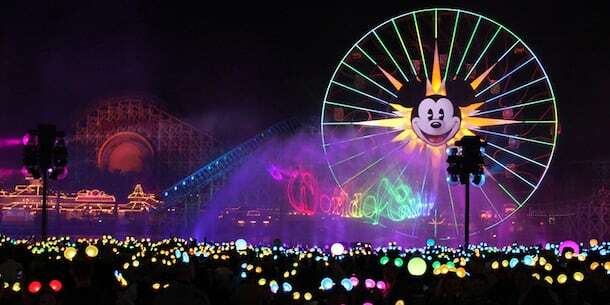 Will there be a dessert party for the new World of Color, and if so, will it be seasonally themed? Thanks! Thank you so much for bringing Believe…in Holiday Magic back! I am literally crying in my chair right now because I’m so happy! These fireworks mean so much to me and I am so excited to share them with my family this year for the first time! I have really enjoyed the Viva Navidad! Street Party, and hope it continues to grow as it has, the past few years. Paradise Grill’s seasonal offering of Posole last year was fantastic for cool/cold nights before World of Color. Bring on the Christmas Holiday traditions! Will World of Color be running nightly in November, or will it be on weekends only? Amanda – It’s best to keep an eye on the Entertainment calendar at Disneyland.com for performance dates and times. My fiancé and I are getting married Dec. 30th and are coming to the park for the weekend on a mini honeymoon. We are planning on doing 2 day single park tickets. What park would you recommend we are in on New Years Eve? Congratulations! Both parks are a lot of fun on New Year’s Eve, but I’d recommend checking out Disney California Adventure park – especially with all of the new holiday experiences we have this year. Have fun! What date is Elena gonna make her debut? I want to take my daughter she loves princess Elena I don’t want her to miss out on her debut! Elena will make her debut when Holidays at the Disneyland Resort begin November 10. Awesome! Can we just skip Halloween and start Christmas now? Will the three caballeros meet during Disney ¡Viva Navidad!? Will Olaf’s Snow Fest be returning to Disney California Adventure’s Stage 17 in the Hollywood Backlot? Will there be garland on Main Street this year? Do you know if the holiday trees will be up at the hotels and in the parks on Nov. 10th or will those roll-out after Thanksgiving like in years past? Thank you so much for the info, Erin! I am a Disneyland Holidays fanatic! I am so, so glad to see that the Winter Castle is returning! The Diamond Anniversary version of the Castle — while being pretty — was not quite the same in terms of that overall sparkly icicle effect that the Winter Castle has at night. I’m also happy to see that Believe…in Holiday Magic is returning. Honestly, I appreciate the snowfall within the context of Believe more than I did in Disneyland Forever. And the Festival of Holidays sounds amazing! Is this event going to start on 11/10/16 as well, or on some other date? 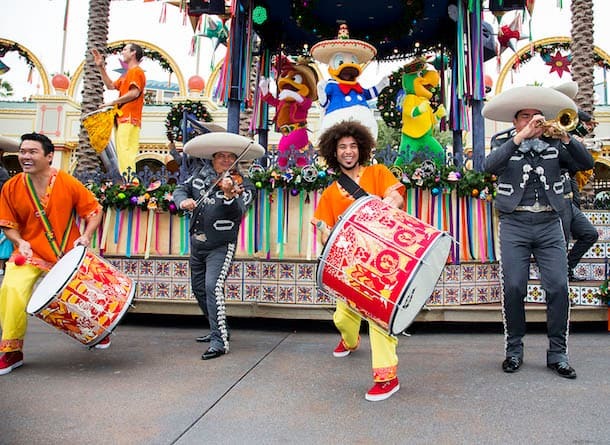 I have been saying for a while that it would be great to expand on the Viva Navidad concept and incorporate some holiday celebrations from other countries as well, and this is a fabulous start! 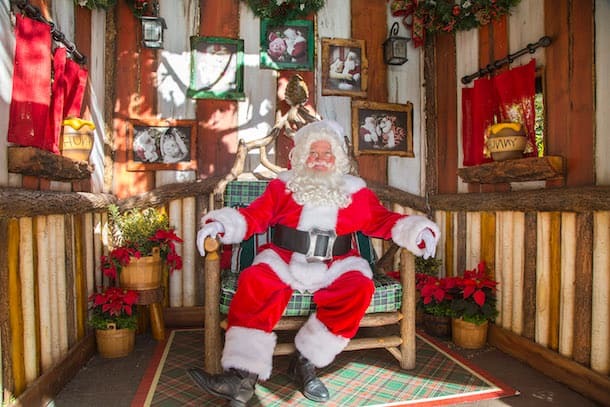 I think that Santa’s new spot in DCA sounds like a great plan — that is a perfect area to take the place of the Jingle Jangle Jamboree! I must echo what others have asked — Jingle Cruise? Are we to assume it is returning this year? 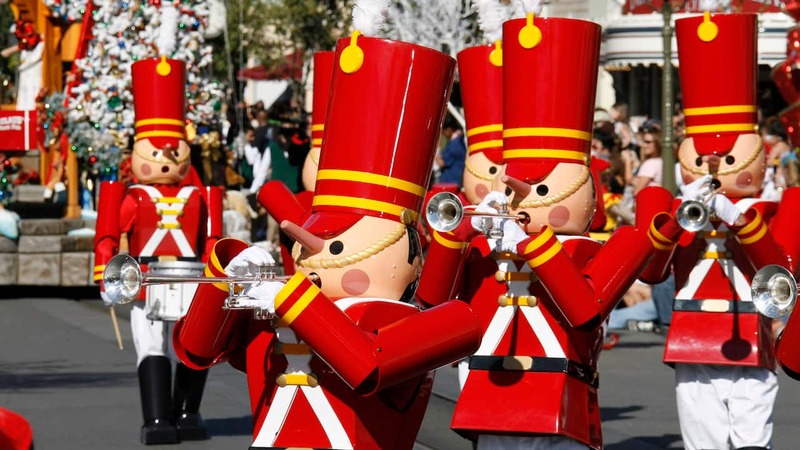 Festival of Holidays will begin with the start of Holidays at the Disneyland Resort on November 10. And yes – Jingle Cruise is returning this year! Looking forward to this Holiday Season. I love the Parks with all the decorations and special events. Will the “Jingle Cruise” return this year? And I know my granddaughters will be excited to see Princess Elena. Will we find her in DCA with all the Viva Navidad festivities, in Disneyland over by the Rancho del Zocalo Restaurante in Frontierland (Or both perhaps???). Yes – Jingle Cruise will return this year. And you will find Princess Elena at Disney California Adventure park at Disney ¡Viva Navidad! So I assume Jingle Cruise was axed? I never had a very good skipper for that one, so I won’t miss it. Coming November 30th and cannot wait! This is the first holiday time trip for us in 10 years. Excited about the new World of Color!!! Will season’s of the Force still be going on? I have star wars themed Christmas shirts and was hoping for a picture with Chewbacca while wearing my Yoda Christmas shirt. Will Elena be available for pictures and autograph? I will be booking my Disneyland vacation around Elena. My daughter is crazy about her. Will the Jingle Cruise also be returning this year? Yes, Jingle Cruise is also returning this year. I am so excited that the holiday decorations and fireworks will be returning! Looking forward to the offerings at DCA! Cannot wait!! Do we have dates for the return of the Electric Light Parade yet? 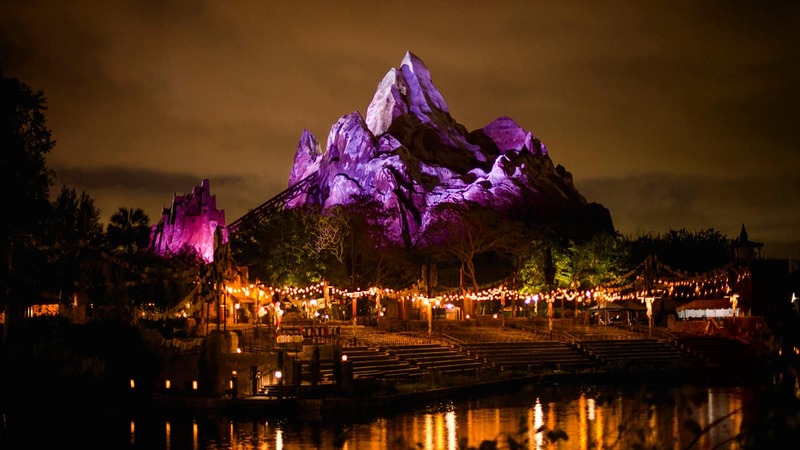 Stay tuned – We will have updates on Main Street Electrical Parade in the coming months. Jingle Cruise will return this year. Sounds awesome! I’m looking forward to see the new World of Color Season of Light show. Also, it’s great that Elena will start to make appearances at the Disneyland Resort. I thought Paint The Night was returning during the holidays? And is HyperSpace Mountain returning? “Paint the Night” parade will return for select nights. Keep an eye on the Entertainment calendar at Disneyland.com for dates. We don’t have information to share on Space Mountain at this time.